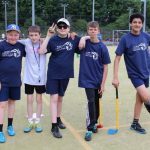 ‘Sport Without Boundaries’ organise a golf event each year for youngsters within the Southern Area Partnership. 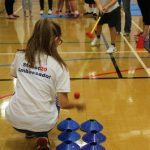 This year 58 players participated in the event which involves 8 skills stations. Chipping stations vary from chipping over barriers, chipping through hoops and onto sticky targets. 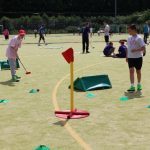 The ‘putting stations’ require accuracy, pace and good judgement just like the real game. 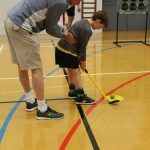 Points gained at each skill station are added together to obtain the overall winner and in addition players & teachers vote for the most improved player in their team. 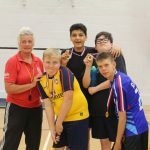 Angmering the winning 2016 team represented the partnership at the Parallel Youth Games and did incredibly well to win Silver medals at the county event.